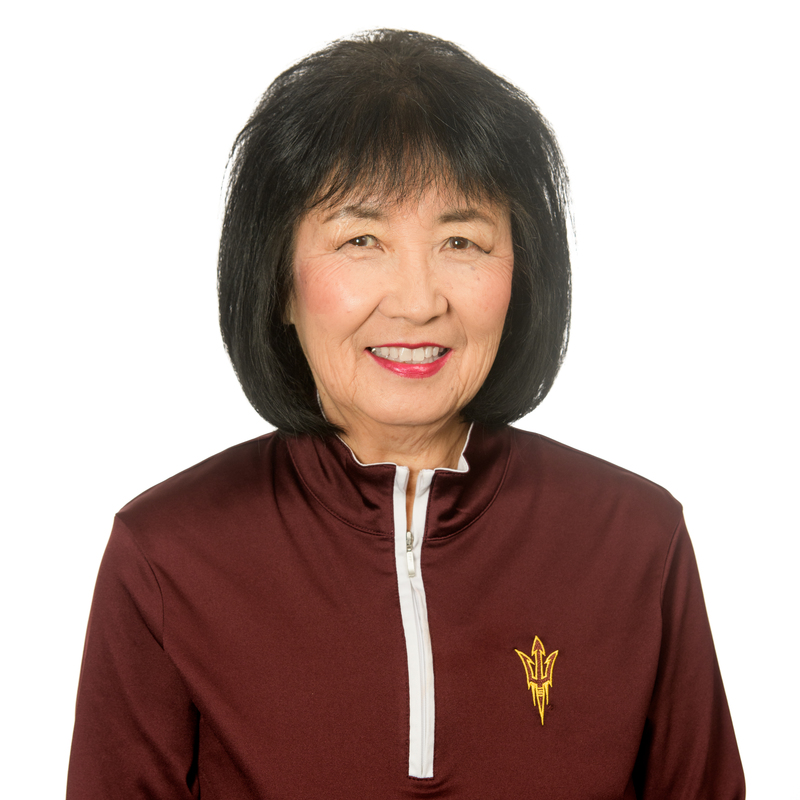 Christine Kajikawa Wilkinson began her role as ASU Alumni Association president and CEO in July 2005. She works to support and promote the advancement of the university, and advocates for the interests of alumni across the country and globally. She also serves as the senior vice president and secretary of the university and Trustees of ASU managing director. Actively engaged with the community, she serves on the boards of Valley of the Sun United Way, Southwest Autism Research and Resource Center, and Arizona Business Leadership Association. She is also on the Nationwide Leadership Council for Big Brothers Big Sisters of America, the Community Advisory Council for Wells Fargo Bank and the Arizona Educational Foundation Advisory Board. 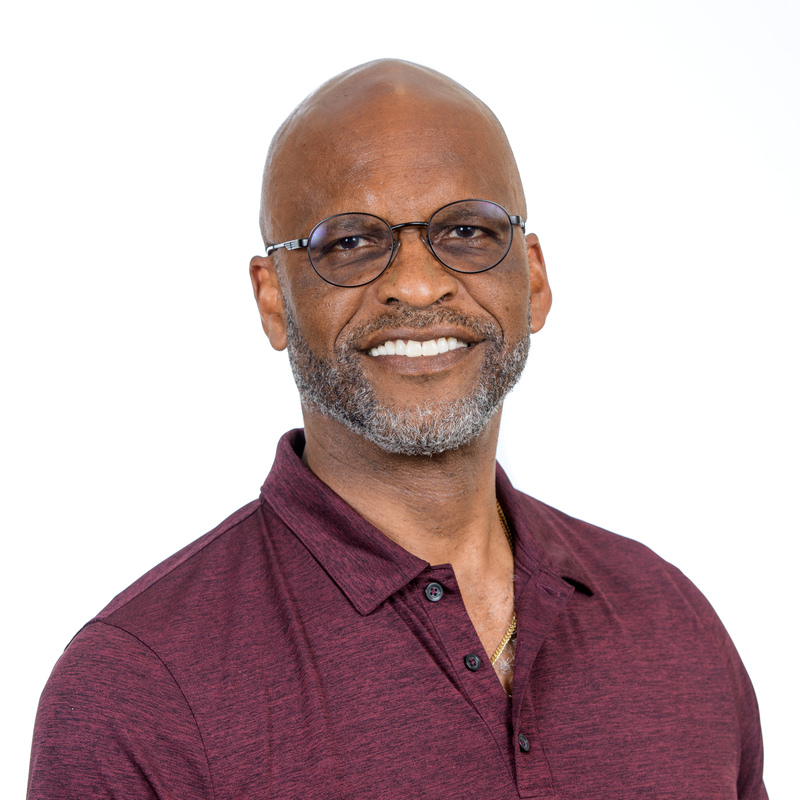 Wilkinson lives in Tempe, Arizona, and holds a bachelor’s degree in education with distinction from ASU, a master’s degree in education (counseling psychology) from the University of California, Berkeley and a doctorate in higher education administration from ASU. She and her husband Don are lifetime sports enthusiasts with a passion for Sun Devil sports and ASU mascot Sparky. 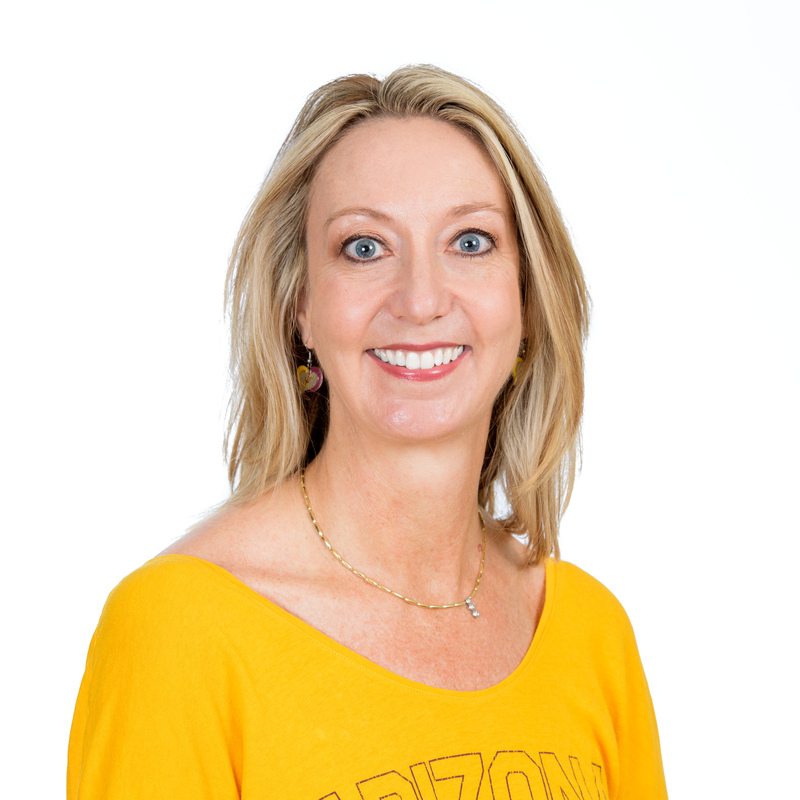 Trish Gulbranson serves as the chair of the ASU Alumni Association board of directors and National Alumni Council. During her term, she has served as a member of the ASU Foundation investment and audit committees and chaired the Sun Devil 100 committee. Her professional background in finance and entrepreneurship fuels her enthusiasm for supporting and growing ASU Alumni. She began her career as a CPA in a large accounting firm and later rose to president and CEO of an international software company before founding Derma Health, a medical aesthetics company. Today, Gulbranson is also a member of the Trustees of ASU. Rick Dircks joined the ASU Alumni Association board of directors in July 2016 and currently serves as the chair-elect. This year, he is once again serving as the chair of the Founders’ Day committee. He is executive vice president of Dircks Moving & Logistics and has more than three decades of experience in the moving industry, working in various sales and management positions throughout the western United States. Dircks was honored in February 2013 with the Excellence in Sales award from Mayflower van lines. He also was honored as a finalist for ASU’s 2010 Spirit of Enterprise award, and also was named Small Business Person of the Year by the Greater Phoenix Chamber of Commerce in 1998. 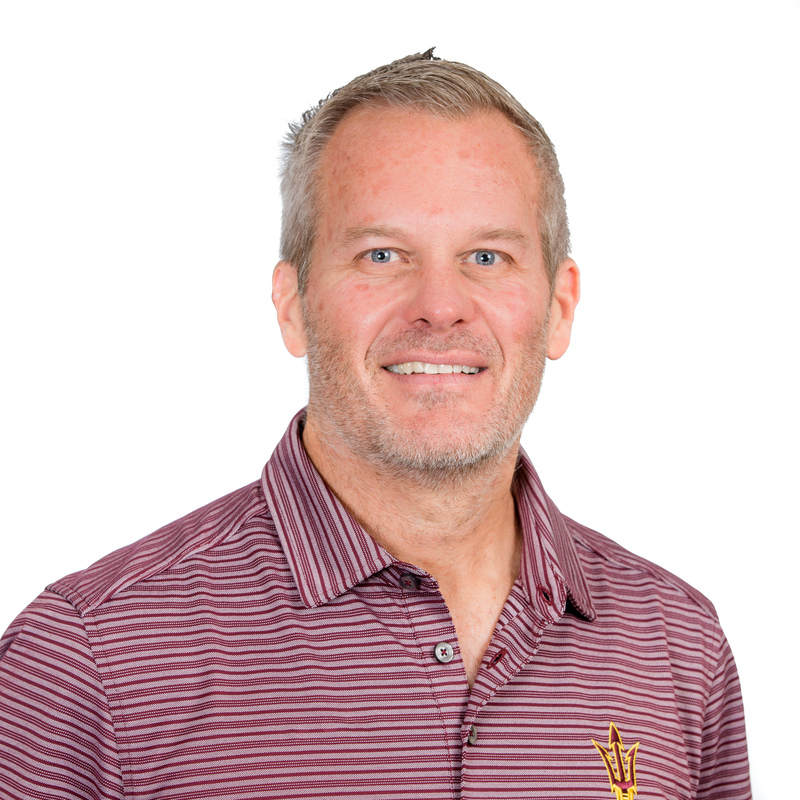 A recipient of the Arizona Business Leadership Award, he twice has been honored as a member of the Sun Devil 100. He’s also been a 20-year member of the ASU President’s Club and a Sun Devil Athletics sponsor for 25 years. 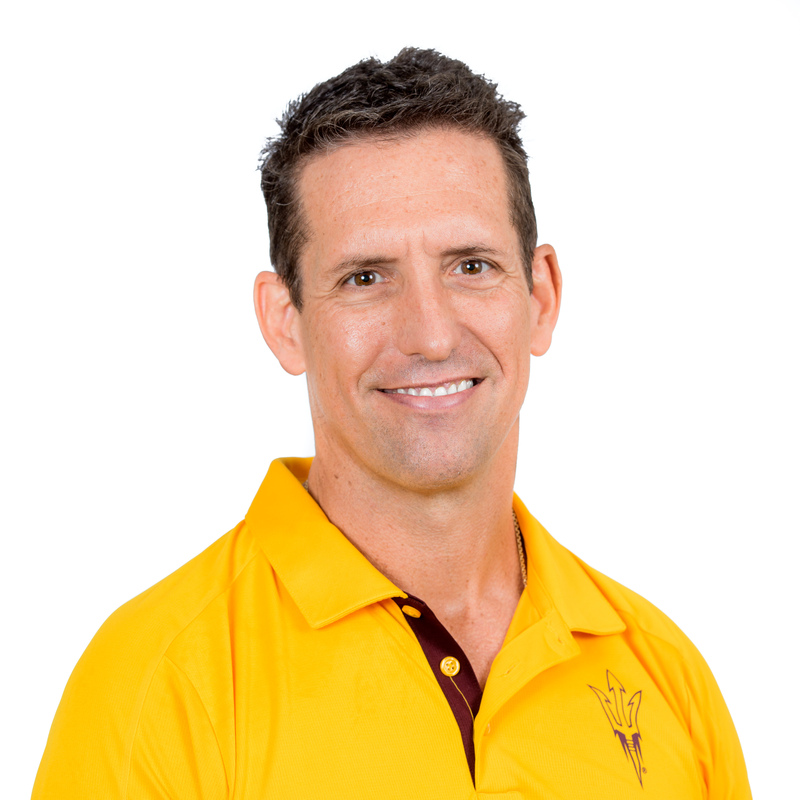 Dircks lives in Chandler, Arizona, with his wife and daughter, who are also ASU alumni. Another daughter currently is attending ASU. He has a passion for Sun Devil Football and enjoys traveling to away games. 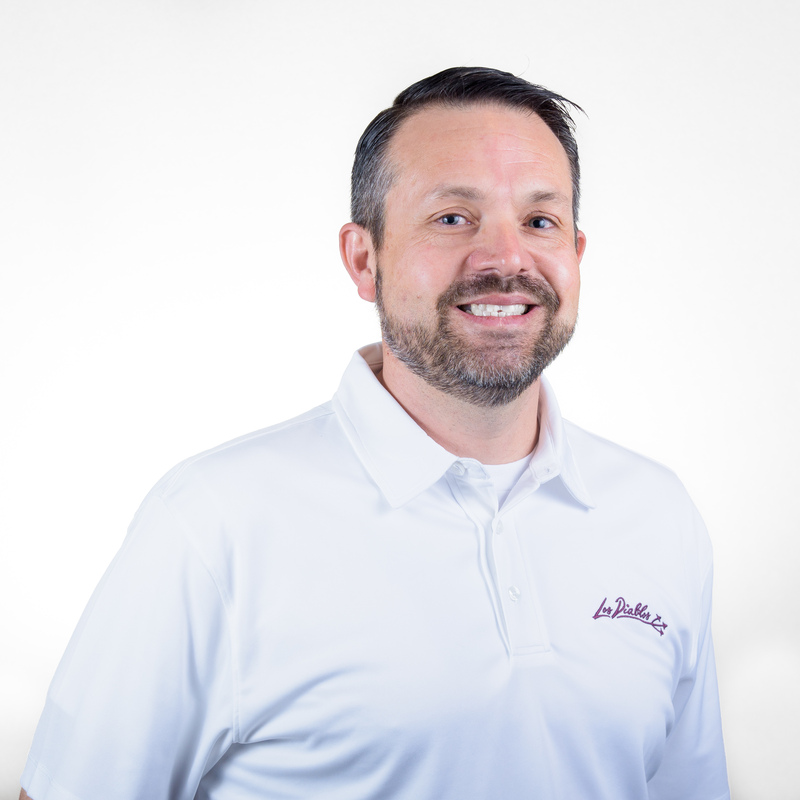 Ryan Abbott is senior vice president at Sundt Construction Inc. Last year he served as chair of the ASU Alumni Association board of directors. 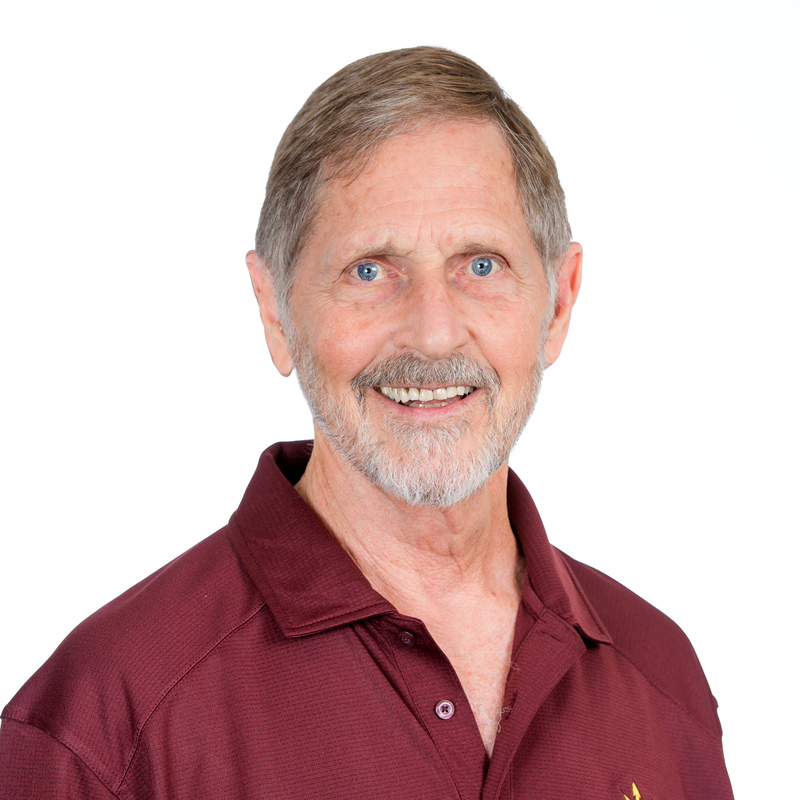 He has played a key role on many notable ASU construction projects, including Lattie F. Coor Hall, the Interdisciplinary Science & Technology Building IV (ISTB4), the Biodesign Institute, the Downtown Phoenix Sun Devil Fitness Complex and Sun Devil Stadium. Abbott lives in Tempe, Arizona, with his wife Martha and future Sun Devils Tristyn, Ashtyn and Aidyn. 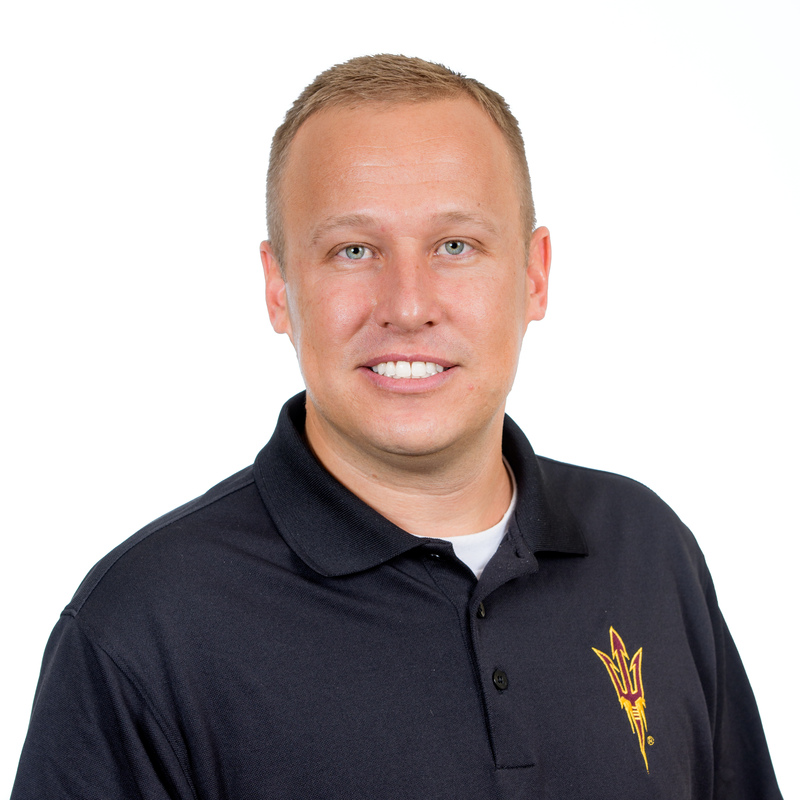 Darren Skarecky is treasurer of the ASU Alumni Association board of directors and National Alumni Council. He is the owner and CEO of Grace Records in Gilbert, Arizona, and serves as the controller of the Salt River Project PERA Club, a venue and recreational facility located north of ASU on the Tempe and Scottsdale border. Previously he served as the CFO for Mister Car Wash in Tucson, Arizona. Prior to taking this position in May 2014, Skarecky was vice president of finance for Insight Enterprises in Tempe, a Fortune 500 technology provider. He worked in various capacities for Insight and its subsidiaries beginning in 1997. Skarecky served as treasurer and board member of the Grand Canyon Minority Supplier Development Council and was an ASU FestDevil Homecoming Gala executive committee member from 2005 to 2008. Skarecky holds a black belt in Kung Fu San Soo and has completed 20 marathons and an Ironman triathlon. He is a third-generation ASU alumnus who resides in Queen Creek, Arizona, with his wife Heather and daughters Savannah and Lilly. 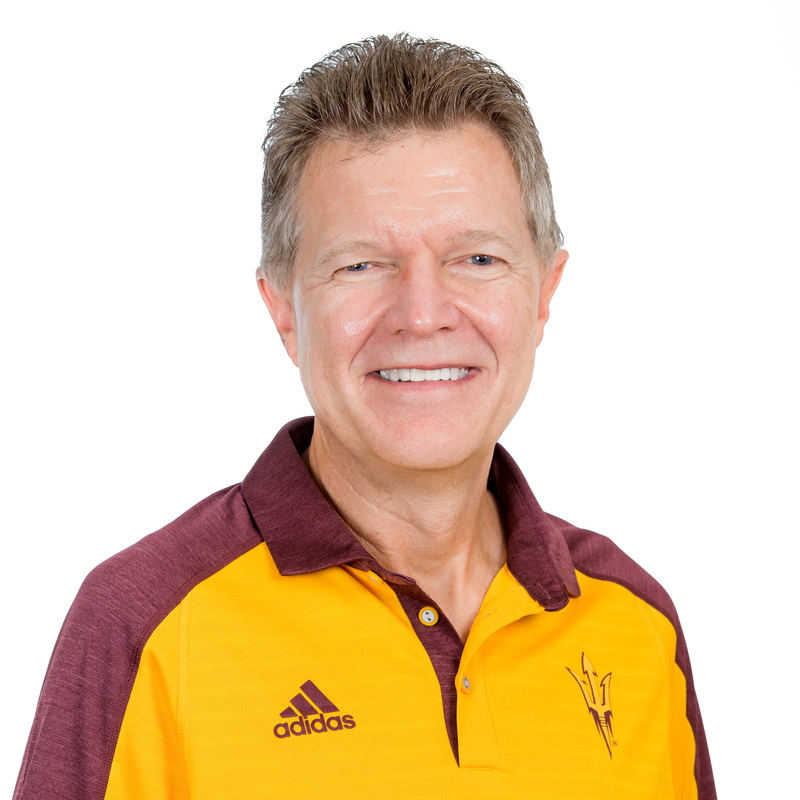 Robert Boscamp joined the ASU Alumni Association board of directors in 2013 and has supported its goals and objective through his participation on multiple committees. 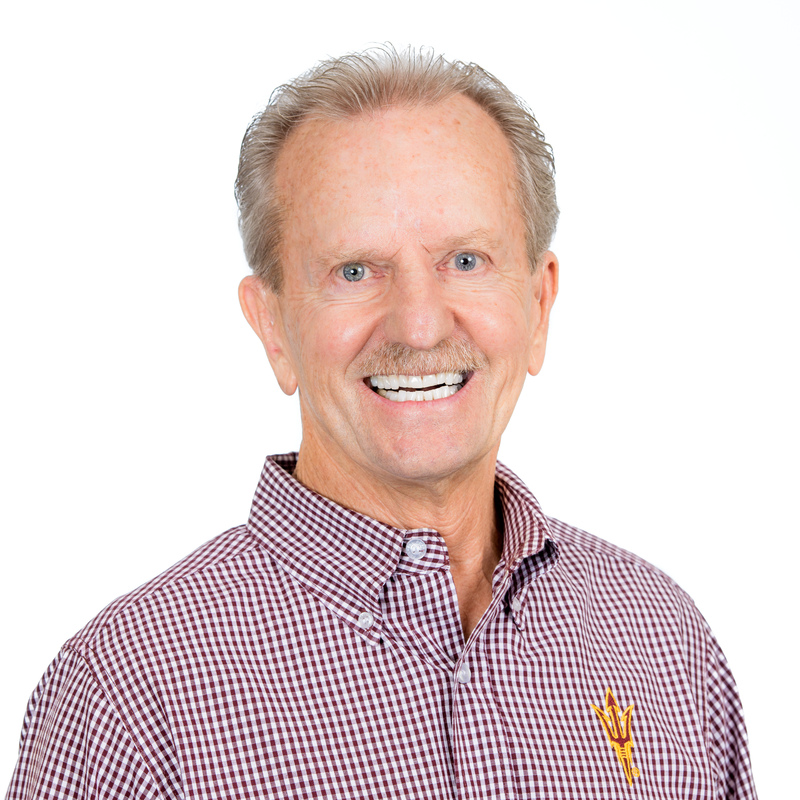 He has provided volunteer leadership at ASU for decades, as a founding member of the W. P. Carey Business School Center for Services Leadership, serving on the Del Webb School of Construction Leadership Research Advisory Board and as a member of the ASU President’s Club. He was a Sun Devil 100 inductee in 2016 and 2018. Boscamp is the president of Strategic Solar Energy and an experienced entrepreneur and visionary leader who successfully launched, managed and sold multiple national companies whose products and services are still delivered today. He is a nationally recognized energy industry speaker and author on energy conservation, education and demand-side management programs. He has served as president and CEO at Axiom Power Solutions, a subsidiary of Arizona Public Service parent company Pinnacle West Capital. Gregg Brewster joined the ASU Alumni Association board of directors in August 2016. His role has been to support the mission of the alumni board, with special attention paid to its state government engagements, health care industry focus and participation in special alumni events. Most recently, Brewster served as vice president of Cardinal Health Enterprise Contracting, where he focused on supply chain capabilities. He is married to Tracy, and they reside in Scottsdale, Arizona, with time spent each year in Green Lake, Wisconsin. They have two daughters who are future Sun Devil alumni, following a Brewster family tradition of ASU graduations dating to 1956. Brewster enjoys politics, travel, golf, boating and outdoor adventures. 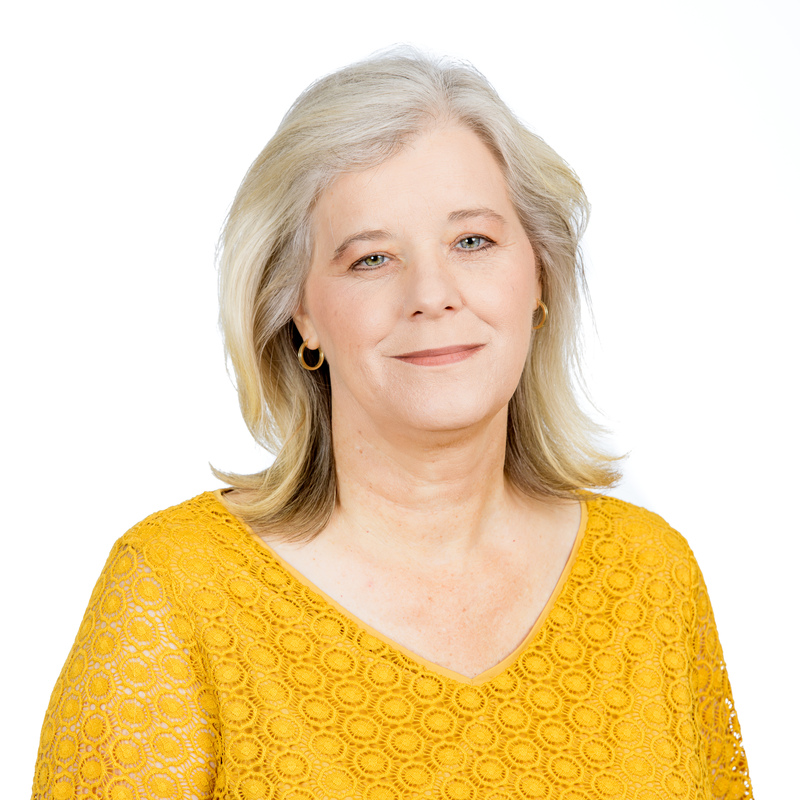 Teresa Clement serves on the ASU Alumni Association board of directors. She is also the current president of the ASU Alumni engineering chapter board for the Ira A. Fulton Schools of Engineering at ASU and has served on the alumni board of the engineering school for more than a decade. Clement is strategic technology manager for technology development at Raytheon: Missile Defense in Tucson, Arizona. She currently has a patent pending for the 3D printing of an integrated thermal management solution for cooling electronics. She is a member of the American Institute of Aeronautics and Astronautics, American Ceramics Society and SPIE, the international society for optics and photonics. She worked as a graduate research assistant at the Fulton Schools and as a Sandia National Laboratories Graduate Research fellow as a doctoral student at ASU. She joined Raytheon upon graduation. Clement and her husband Ben, who is also an ASU alum, live in Tucson with their son Thomas. Glenn Crawford joined the ASU Alumni Association Board of Directors in 2015. He is proud to serve on the board and take an active part in ASU's efforts with alumni. He is a financial services representative for Taylor Insurance and Financial Services in Southern California where he has received the “Top Agent of the Year” award for the last four years. He is an expert in all areas of financial wellness, with a focus on business owners and executives. He also has worked as an executive vice president of sales for the Surrex Solutions Corp., and as a senior account executive and board-level producer for Kforce Professional Staffing and Solutions/Source Consulting. 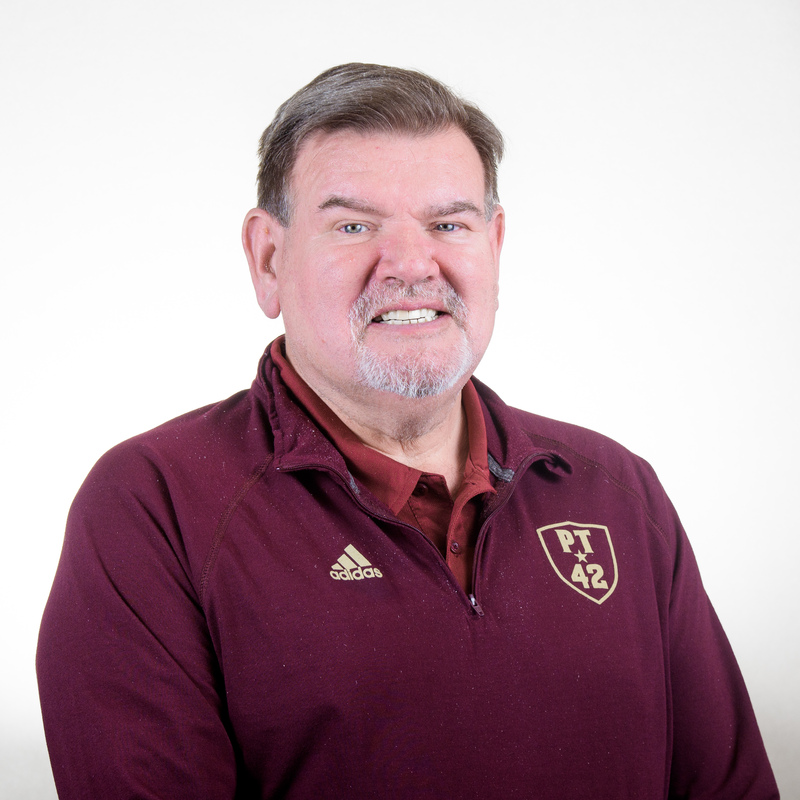 Crawford bleeds maroon and gold and played football for ASU for three years, including on the 1975 team that stands as the only undefeated team in school history. After graduating from the W.P. Carey School of Business, he started his career with the Johnson & Johnson Companies. Embedded in his community, he serves on four nonprofit boards. Crawford lives in Los Angeles and when not working or serving on nonprofit boards, he follows all things ASU and is an avid guitar player who owns 26 guitars. 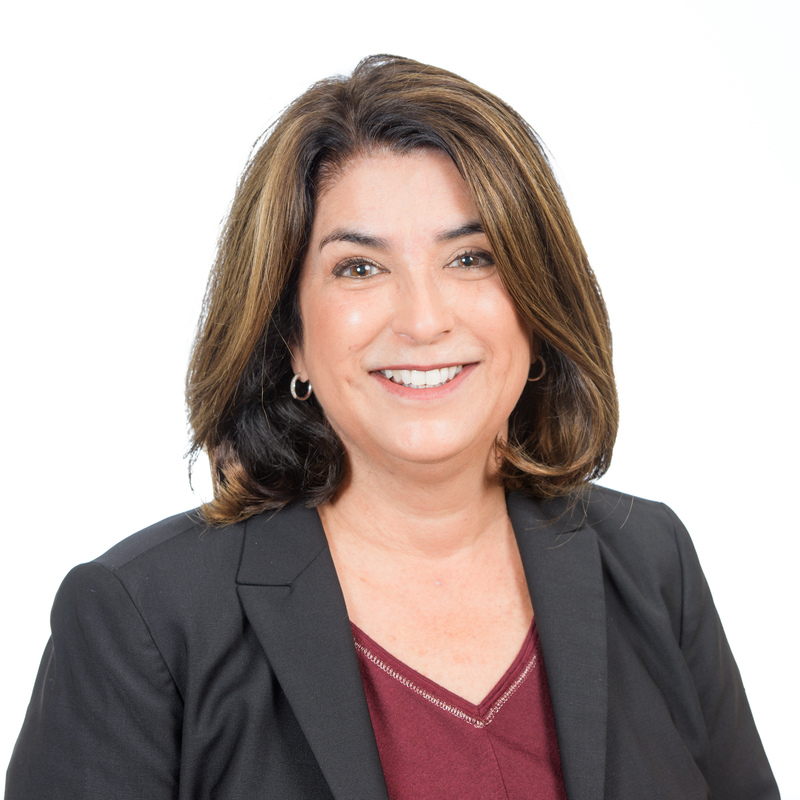 Lisa Fernandez, vice president at Resolute Consulting, joined the ASU Alumni Association board of directors in August 2018. On the board, she will focus on alumni membership and events. 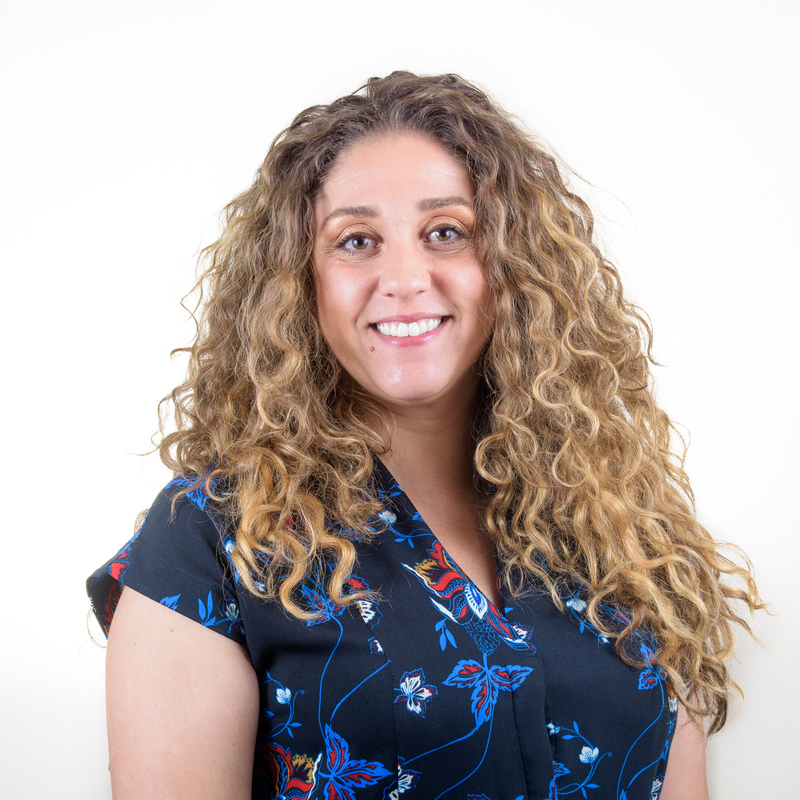 While Fernandez attended ASU, she was president of one of the most active clubs on the Tempe campus and also volunteered her time as a member of the student speakers bureau. Since then, she has excelled in her professional career, managing local, legislative and congressional campaigns, earning membership in Valley Leadership and Charter 100 AZ. She was recently named one of the “best and brightest campaign professionals under 40” by the American Association of Political Consultants. She and her partner Seth live in central Phoenix with their two dogs. Outside of work, she spends her spare time volunteering on political campaigns and boxing. Charles (Bret) Giles joined the ASU Alumni Association National Alumni Council for two terms prior to joining the board of directors. He is focused on membership and marketing activities for the association. Giles is the co-founder of Audacious Studios, a marketing incubator with four specialized agencies focused on performance marketing, digital product design and development, customer experience and influencer marketing. His career spans more than 30 years, both in B2B and B2C sectors and working with agencies and brands. In addition, Giles is a professor of practice at ASU in digital, data-driven and social media marketing. He joined the W. P. Carey School of Business in 2010. Giles was recognized as the 2010 Arizona Small Business Person of the Year by the Small Business Administration. He loves living in the Valley of the Sun and trail and road running. 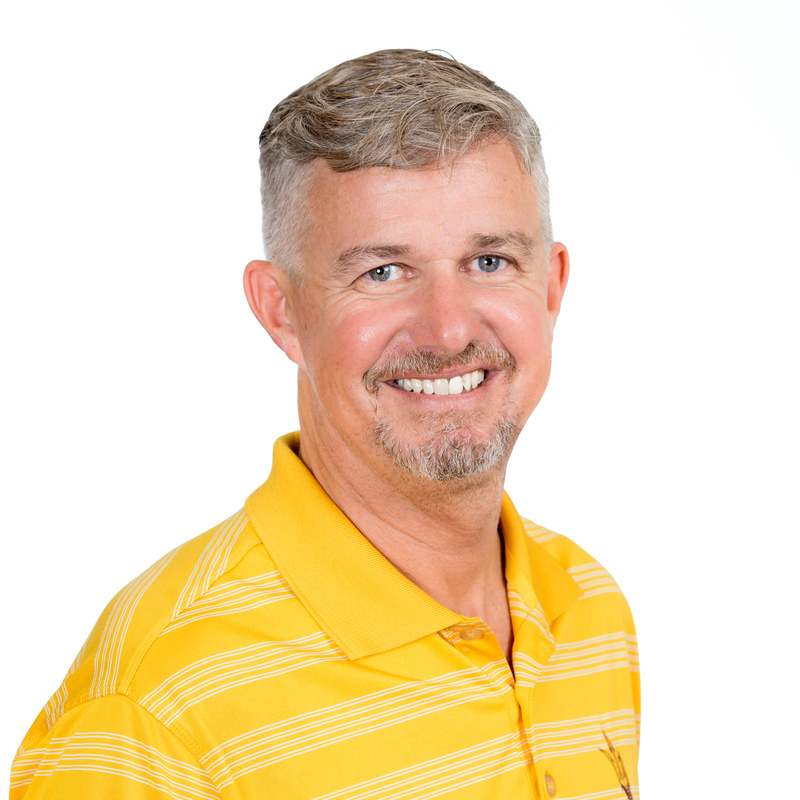 Since joining the ASU Alumni Alumni Association board of directors in 2015, Chris Hill has participated in selecting scholarship award recipients and ASU Leadership Institute participants. In addition, he advocates for Sun Devil veterans through his membership in the ASU Veterans Alumni chapter. He is the senior managing director of Treadstone Management. Hill graduated as a distinguished military graduate from ASU’s Army ROTC program before serving in the U.S. Army. An American College of Healthcare Executives Fellow, he retired as a Lieutenant Colonel after 20 years as a Medical Service Corps officer in the U.S. Army before serving in a variety of health industry executive roles: CEO for a large acute-care community hospital affiliated with the Hospital Corporation of America (HCA); CEO for a physician-owned joint venture surgical-specialty hospital; and as vice president of operations with responsibility for two surgical specialty hospitals and an ambulatory surgery center. Hill also previously served as the chief operations officer and chief executive officer of St. Luke’s Medical Center and Tempe St. Luke’s Hospital in 2013. At Tempe St. Luke’s, he collaborated with ASU Health Services leadership to better coordinate health care for ASU students. 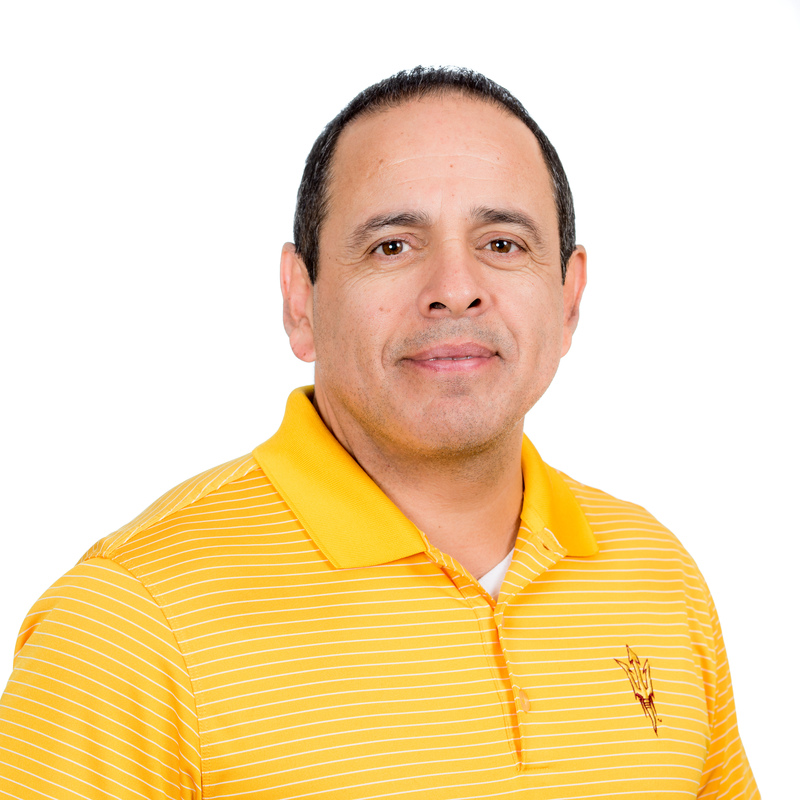 Luis Heredia serves on the ASU Alumni Association board of directors. He is the district director for Arizona Congressman Ruben Gallego and also serves as Arizona’s representative to the Democratic National Committee, chairing its credentials committee. He led the Arizona Democratic Party as executive director from 2009 to 2012 and worked in senior-level positions for Union Pacific Railroad, U.S. Rep. Raúl Grijalva, Arizona Western College and the City of Yuma. Heredia is a native Arizonan and first-generation American from a Mexican immigrant family. At ASU he earned the Roberto L. Pastor Student Award, named in honor of Congressman Ed Pastor’s late brother. Heredia also was named a Woodrow Wilson/PPIA fellow and earned a master's degree in public affairs at Indiana University. Heredia was elected to the Somerton Elementary School Board at the age of 24, and appointed to the Yuma County Planning and Zoning Commission and the Arizona Governor’s Latino Advisory Council. He recently completed the Flinn-Brown fellowship for the Arizona Center for Civic Leadership. He worked to establish the El Diablito chapter in Yuma and organize the annual Somerton Tamale Festival. He also currently serves as president of the ASU Alumni Association’s Los Diablos chapter. 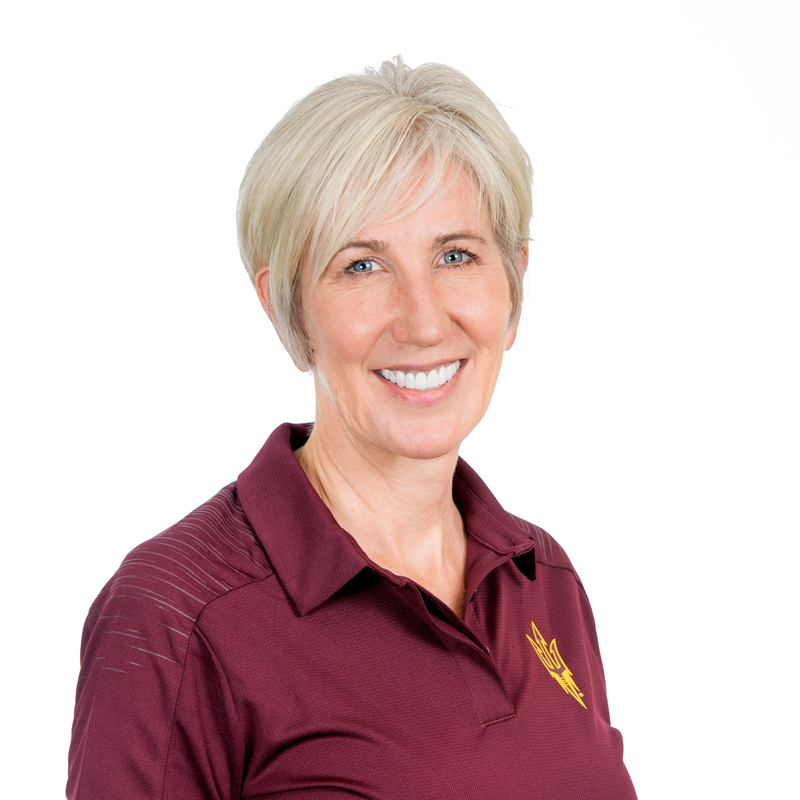 Kristine Kassel joined the ASU Alumni Association National Alumni Council in 2013 and the board of directors in 2016. Kassel is focused on advancing the growth and accomplishments of the university, its students and alumni. Her passion for collaboration is reflected in her work on the alumni association board and her service in the community. Kassel is president of Benefits by Design, an Arizona-based agency focused on group employee benefits. 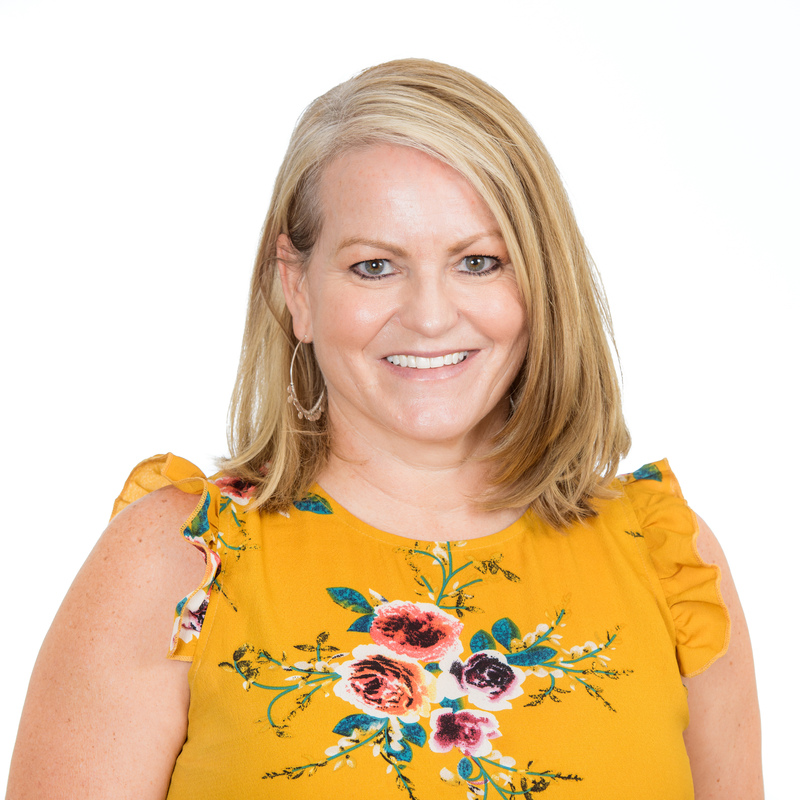 She has received several awards, including Tempe Business Woman of the Year, NAWBO Business Owner of the Year and has been recognized as an ATHENA Award finalist by the Greater Phoenix Chamber of Commerce. Kassel is a Tempe, Arizona, native and currently lives in nearby Ahwatukee with her husband and their two dogs. Her daughter is currently in veterinarian school at Colorado State. She enjoys golfing, hiking and biking, and is a huge college football fan. Tim Kelly is on the ASU Alumni Association board of directors. He serves as senior vice president and general manager for Shamrock Farms Dairy, the dairy division of Shamrock Foods Company, one of the 500-largest privately held businesses in the country. He runs the dairy business for the enterprise and is instrumental in developing the strategic plan and infrastructure for further growth. Kelly and his wife Robyn have three boys who keep the family busy between educational and sports endeavors. He also has been a member of the Tempe Diablos. 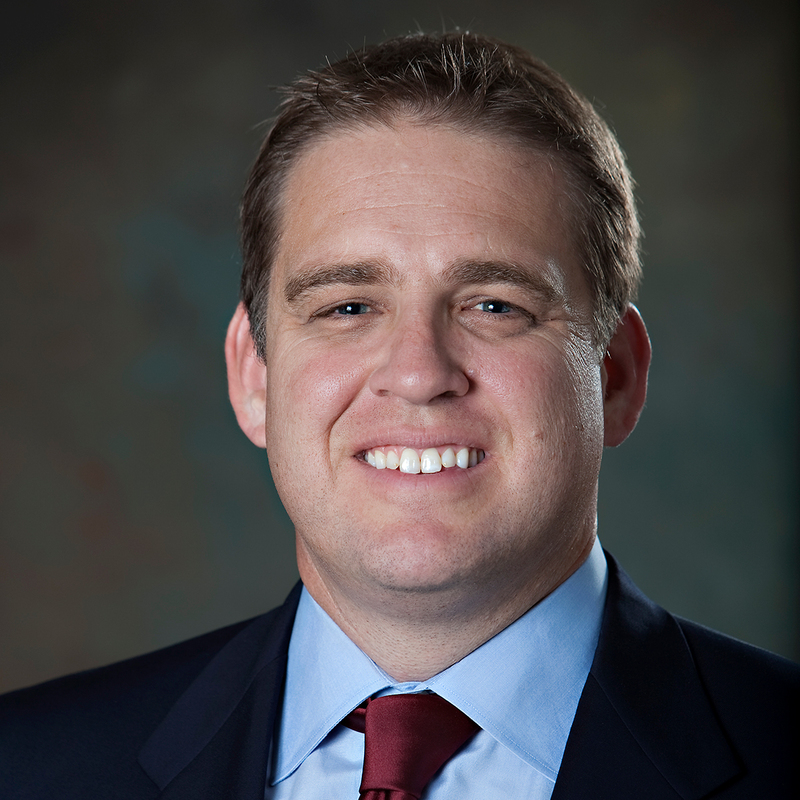 Mark Kerrigan serves on the ASU Alumni Association board of directors. He is a senior executive in the energy and environmental field and is currently the manager of Amstar Energy Group. He has held senior management roles in the federal government, including senior staff for the White House Office of Management and Budget and deputy undersecretary for policy at the Department of Energy under President George H.W. Bush. In that role, he served as a member of the American delegation to the United Nations Intergovernmental Panel on Climate Change. In 2005, he was a member of the Board of Visitors at Indiana University, where he received the Alumni of the Year award from the School of Public and Environmental Affairs. He, along with fellow co-founders of GlobalResolve, received the James W. Creasman Award for Excellence from the ASU Alumni Association at Founders’ Day in 2009. Kerrigan lives in Falls Church, Virginia, with his wife Susan and daughters Meredith and Paige. Joya Kizer Clarke is on the ASU Alumni Association board of directors. She serves as the president and chief executive officer of CASA Unlimited Enterprises Inc., one of the few local-based, ACDBE-certified airport concessionaire businesses operating its own stores in Phoenix. She currently oversees three retail stores in Phoenix Sky Harbor International Airport and nine joint-venture partnership contracts, and she continues to build growth opportunities for the business. 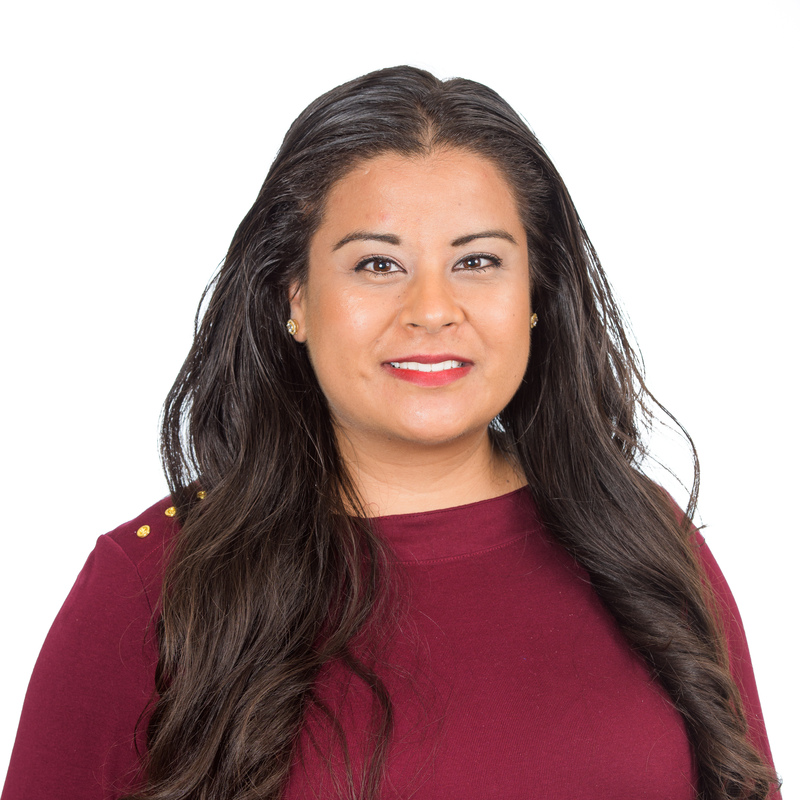 Clarke is a recipient of the Univision Radio- Phoenix and Valle del Sol “40 Hispanic Leaders Under 40” for excellence in business leadership and is a member of the National Association of Professional Women. She has a large community outreach involvement and donates to many local organizations such as Arizona School for the Arts, Boyce Thompson Arboretum, At-Large Advisory Committee Board of Directors and the Cesar Chavez Foundation. She continues to be a prominent NextGen Healthcare community figure within the airport concessionaire industry. 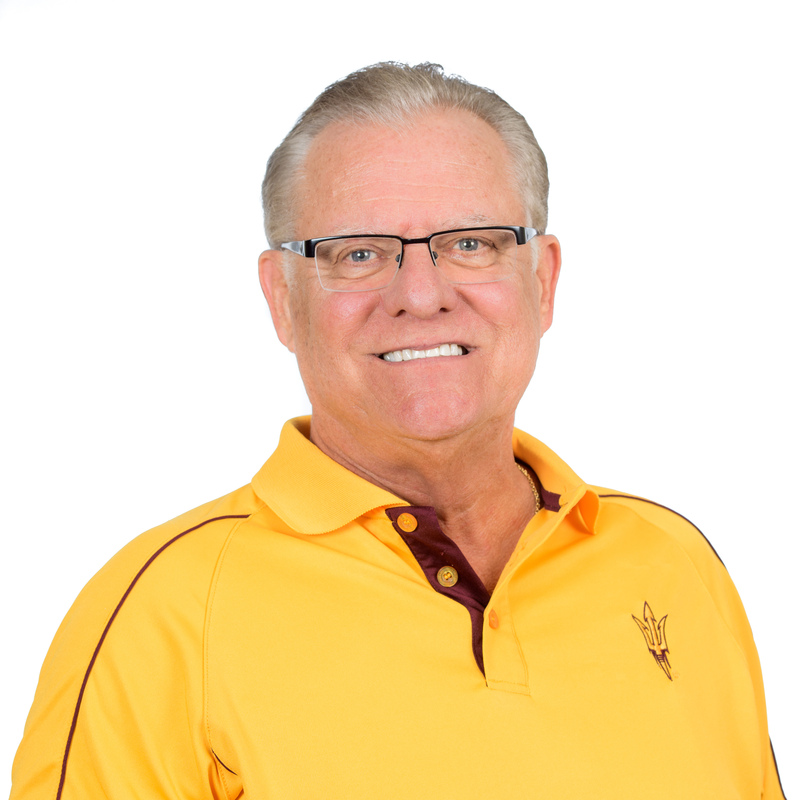 Mike McGuirk joined the ASU Alumni Association board of directors in June 2018. In his role on the board, he will focus on alumni engagement and events. In addition to his duties as president of ProCopy Office Solutions, McGuirk is active both nationally and in the community. He currently serves on the board of the Better Business Bureau, is a member of the Executives' Association of Greater Phoenix and is a national board member of the Business Technology Association and president-elect of its Select Dealers Group. McGuirk lives in Gilbert, Arizona, and has a summer home in Imperial Beach, California, with his wife Kelly. They have three children, including a 2017 ASU graduate. 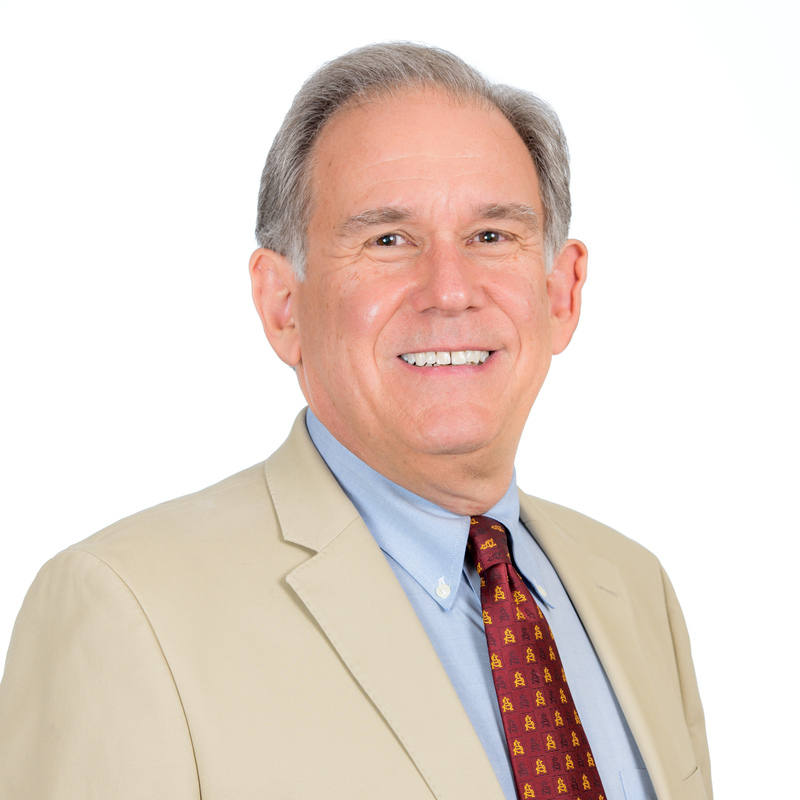 Fred Reish joined the ASU Alumni Association board of directors in 2015. An advocate of student support, Reish seeks to use his position on the board to enhance the college experience, including the advancement of the new ASU Greek Leadership Village and working with first-generation learners and military veterans. He has established a scholarship for service veterans in honor of his father, a career soldier. He is a recipient of the ASU Alumni Service Award. Reish is a partner in Drinker Biddle’s Employee Benefits and Executive Compensation Practice Group and chairs the Financial Services Industry Group team specializing in the Employee Retirement Income Security Act. His practice centers on fiduciary issues, prohibited transactions, tax qualification and retirement income. He serves as a consultant and expert witness on ERISA litigation and FINRA arbitration, with a focus on cases involving broker-dealers, registered investment advisers, financial service companies and other service providers. Reish has written four books and more than 350 articles on fiduciary responsibility, prohibited transactions, audits and pension plan disputes, and has received numerous industry awards, including selection as one of the 5 “Legends” of the retirement industry by Planadviser magazine. Reish lives in Los Angeles with his wife Michelle and children Theresa and Freddy. Michael Tully joined the ASU Alumni Association board of directors in 2017 and has also served on the National Alumni Council. In 2017 he chaired the ASU Founders’ Day committee on which he has served for the last three years. He also has been active in ASU Homecoming as well as the annual Legends Luncheon. As a proud ASU alum, Tully has been an ardent supporter of ASU’s mission and the alumni association's mission and goals. He has also served on the ASU finance advisory board, ASU’s Center for Services Leadership, and the ASU Foundation President’s Club. Tully lives in Scottsdale, Arizona, with his wife Heidi, whom he met while attending ASU. He and Heidi have two daughters attending Barrett, The Honors College at ASU. Tully is an avid hiker, mountaineering enthusiast, photographer and traveler. 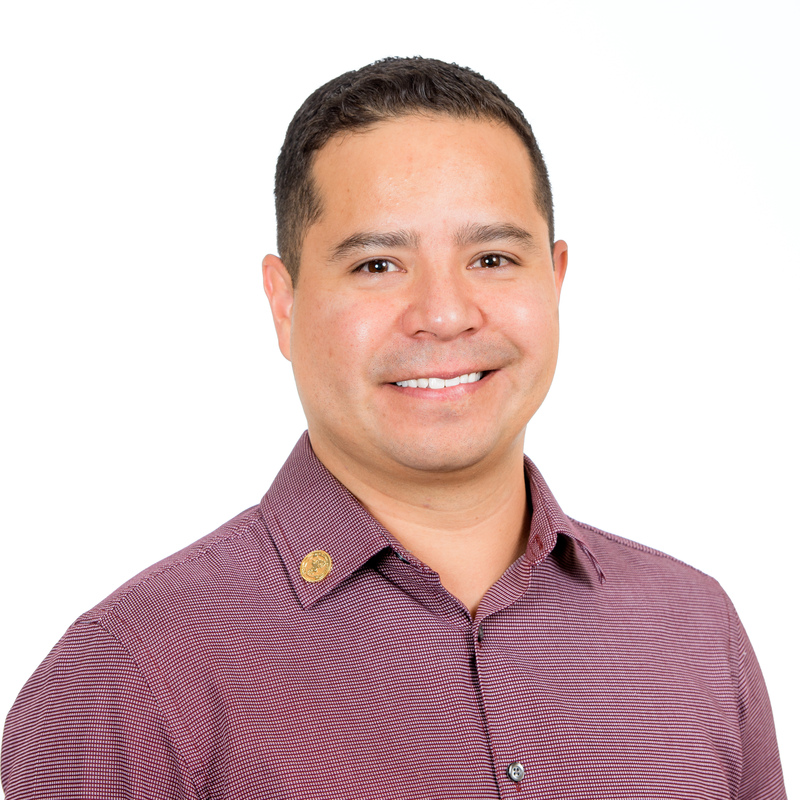 Anthony Valencia serves on the ASU Alumni Association board of directors. He is the vice president of real estate operations for Chicanos Por La Causa. He is responsible for managing all finance and accounting initiatives for CPLC and its affiliates and subsidiaries. Prior to this position, he served as program finance manager for CPLC. He began his career in an entrepreneurial environment, serving as CFO for several for-profit ventures. An alumnus of Valley Leadership, he also has served on the board of directors for the Roosevelt Public School Education Foundation and is currently president of the board of directors for the W. P. Carey School of Business alumni chapter. Ray Artigue joined the ASU Alumni Association National Alumni Council in 2018. He looks forward to contributing in any way that brings value and advancement to the mission and vision of the alumni association. 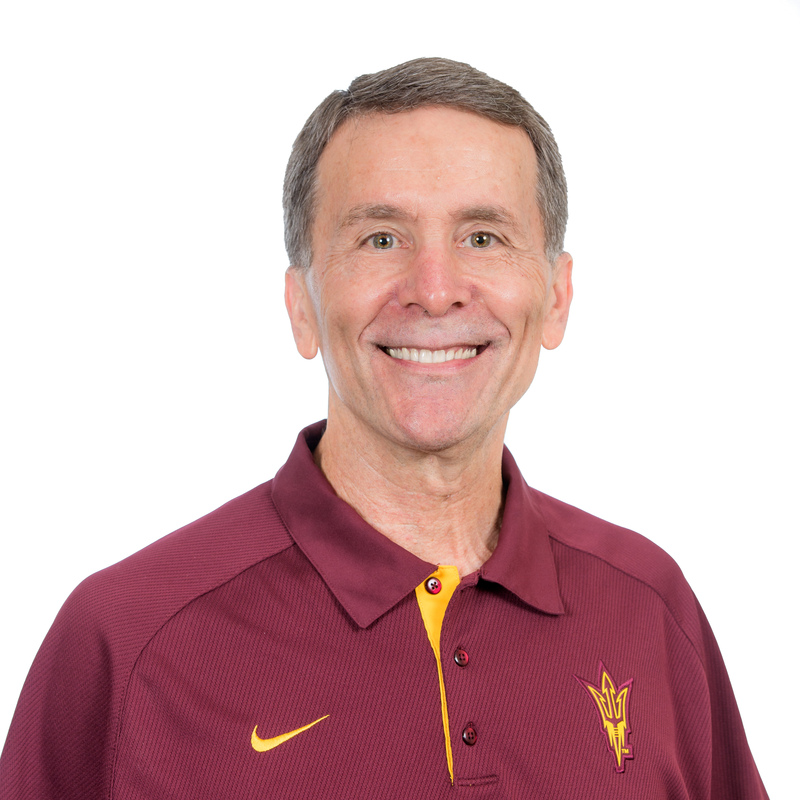 He is the founder and principal of Artigue Advisors and is active on the Cronkite School's endowment board, a long-time member of the Sun Devil Club and a former professor of practice in the W. P. Carey School MBA program. He has been inducted into the ASU College of Public Programs and the Cronkite School Hall of Fame. Artigue has successfully owned and operated several marketing communications firms and also worked for the Phoenix Suns and Arizona Diamondbacks. He has authored a number of books. An Arizona native, Artigue has lived in the Greater Phoenix area his entire life. He has successfully owned and operated several marketing communications firms and also held executive positions with the Phoenix Suns and Arizona Diamondbacks. He and his wife Martha, who is a Sun Devil alumna, live in the Arcadia neighborhood in Phoenix. 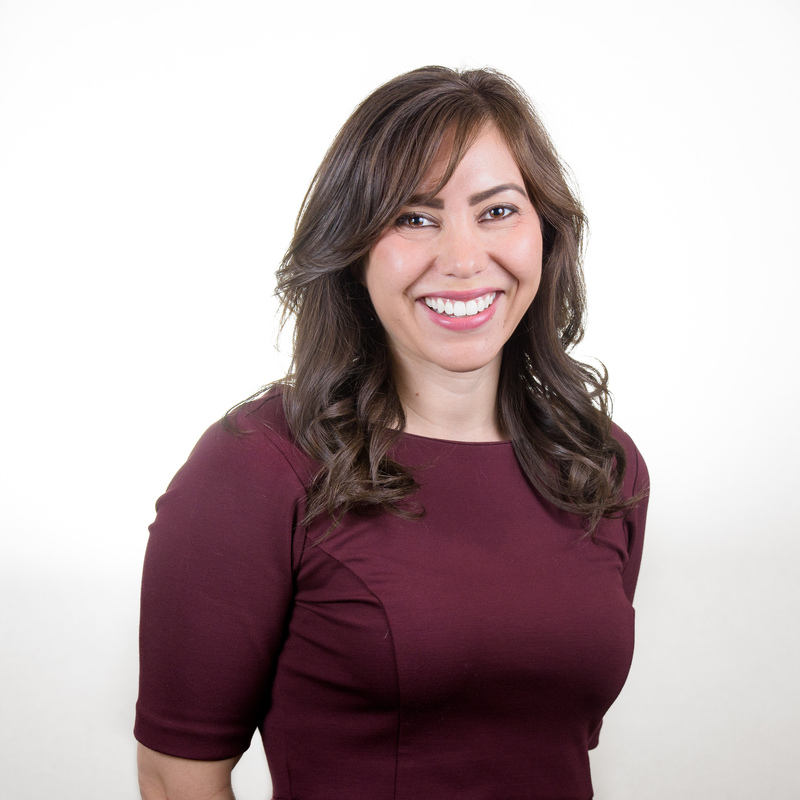 Yesenia Barraza-Simmons serves on the ASU Alumni Association National Alumni Council. She is a certified public accountant. She also assists businesses and individuals with tax, accounting and consulting needs through her Phoenix-based firm YB Company. She is a member of the Arizona Society of CPAs, the Dobson Ranch Toastmasters and the ASU Alumni Leadership Scholarship program board. Barraza-Simmons, who previously served on the alumni association’s Young Alumni Council, writes a regular column for the Aguila Youth Leadership Institute. She has been recognized by the Arizona Hispanic Chamber of Commerce with a “40 Hispanic Leaders Under 40” award in 2007, and has received a Hall of Fame award from the W. P. Carey School of Business. Barraza-Simmons resides in Phoenix with her husband Harold and son Edison. With a passion to increase the level of financial knowledge in the community, she frequently volunteers and speaks at various organizations on the topic, and loves to read, exercise, travel and golf. 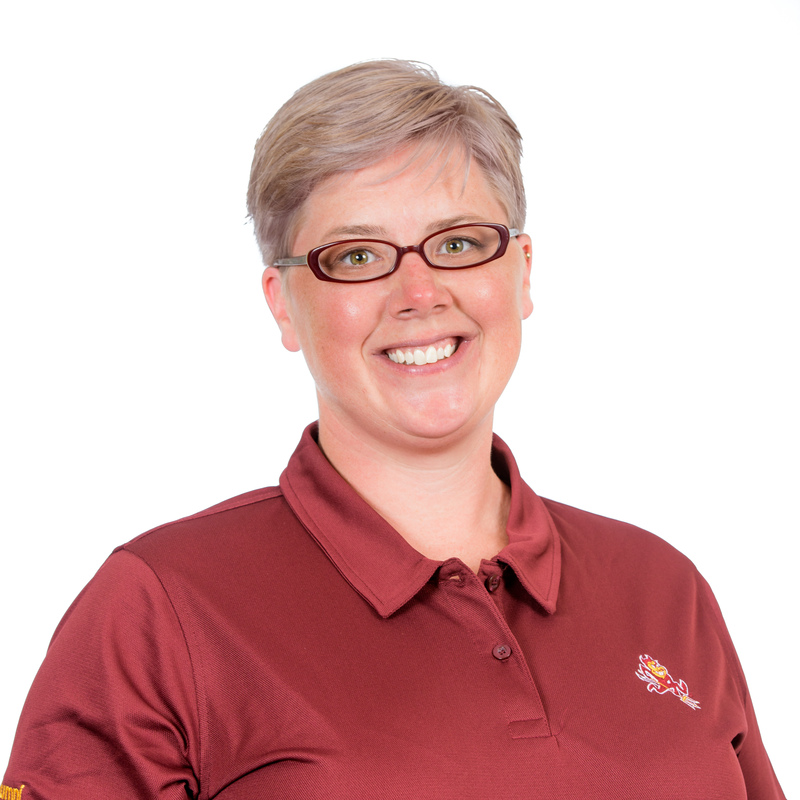 Holly Barrett serves on the ASU Alumni Association National Alumni Council. She is currently the chief financial officer for the ambulatory business at Banner Health. She also has 30 years of international corporate finance experience with Intel, where she held executive positions in the manufacturing, legal, corporate affairs and high-growth startup business divisions. Barrett most recently served as the vice president of finance for the Internet of Things Group. She also served on the board of directors for Wind River Systems and on the governing board of directors for IMFT. During her Intel career, Barrett was awarded three Intel Achievement awards, Intel's CEO-approved, highest level of recognition. 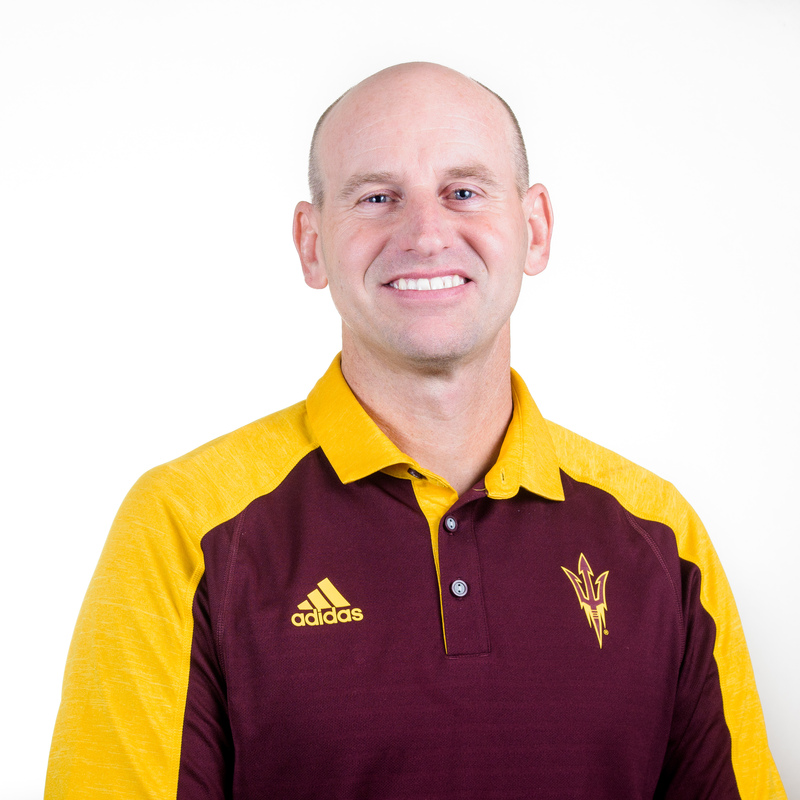 Barrett is an executive in residence and an alumni council member for the W. P. Carey School of Business at ASU and also provides technology finance consulting services via the Gerson Lehrman Group. She holds a certificate in health care management from UCLA, an MBA from ASU and a bachelor’s degree in accounting from the University of Montana. In her spare time, she enjoys weight training, photography, reading, travel, volunteer work and home improvement projects. Eddie DeVall served on the ASU Alumni Association Board of Directors from 1999 to 2007, representing the Los Angeles Alumni chapter, served as a director at large during the 2007–08 academic year and now serves on the National Alumni Council, focused on the areas of memberships, events, chapter activities and engagement. He has been the president of the Los Angeles Alumni chapter, connecting Sun Devils in the Greater Los Angeles region with their alma mater since 1997. DeVall has had various positions in the entertainment industry working with CBS, MGM Studios and MGM Home Entertainment. For the past decade he has been creating partnerships and national promotions for various films. Suzanne Durkin-Bighorn serves on the ASU Alumni Association National Alumni Council. She is the director of partner engagement and education with Social Venture Partners of Arizona. She is also special events coordinator for South Mountain Community College and the Phoenix Symphony, and was a loaned executive for Valley of the Sun United Way. With more than 10 years of experience, she has devoted her life to volunteer service, sitting on a number of boards. She currently serves as president-elect of the Tempe Leadership Board; the board of Tempe Community Action Agency; Tempe Parks, Recreation and Golf and Double Butte Cemetery Advisory Board; and the Tempe Chamber of Commerce board of directors. Durkin-Bighorn has built her career in community relations, event planning and strategic outreach, primarily focused in arts and education. In 2017, she joined Social Venture Partners Arizona. 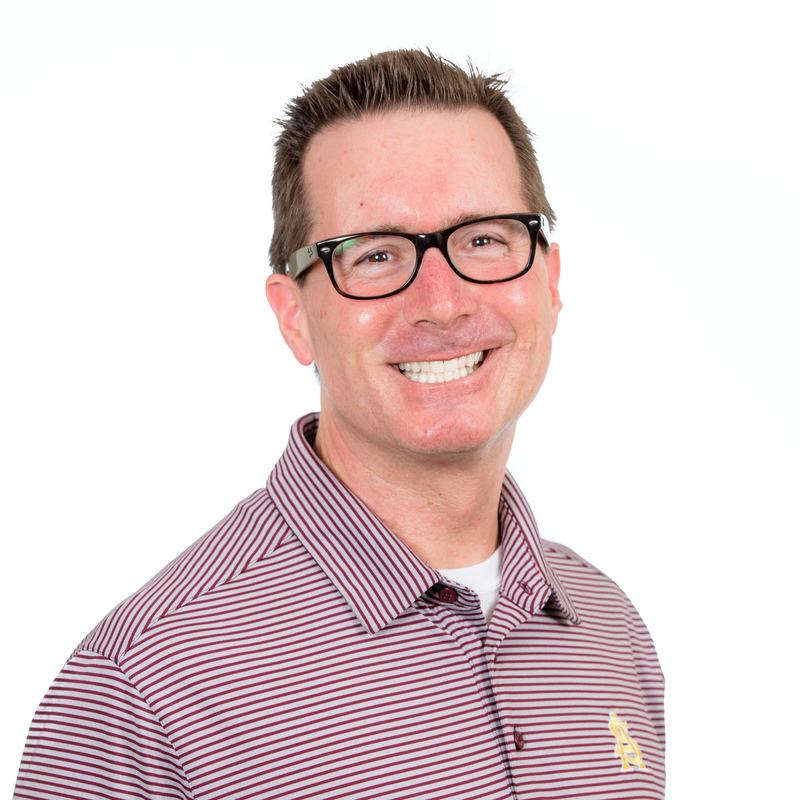 Tim Gertz joined the ASU Alumni Association National Alumni Council in May 2016 when he began focusing on growing alumni affinity through various programs. Gertz has a deep affinity to ASU and loves the opportunity to work with other board and council members to develop programs to help share his passion with other alumni. He is a certified public accountant and partner of ProVision, a firm specializing in developing wealth and tax strategies for entrepreneurs, professionals and investors. While at ProVision, Gertze helped develop an environment of giving through the firm’s regular outings to Helen’s Hope Chest in nearby Mesa, as well as the adoption of various families during the holidays. 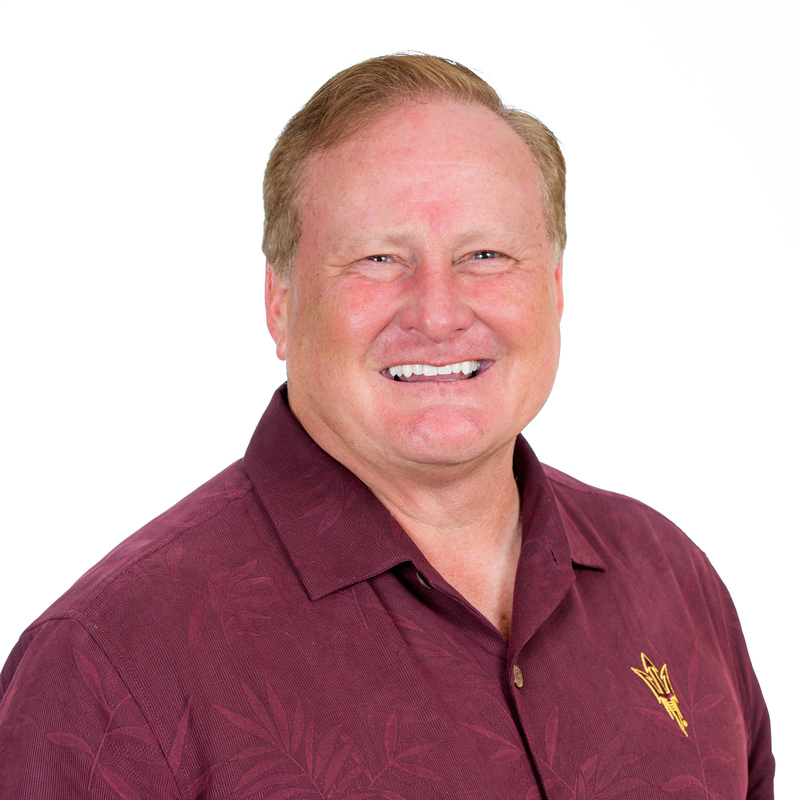 John Gibson joined the ASU Alumni Association National Alumni Council in 2015. In his role, Gibson is focused on supporting ASU Alumni membership while also serving on the Founders’ Day committee. He is the southern Arizona region president for Wells Fargo Bank and an Arizona native passionate about giving back to the community. He was recognized for his efforts in southern Arizona with the “40 under 40” award from the Tucson Hispanic Chamber of Commerce. Additionally, he continues these efforts through leadership roles for nonprofits, including Valley of the Sun United Way. Past roles include chairman of Big Brothers Big Sisters of Tucson and a member of the Tucson Metro Chamber. Gibson lives in Chandler, Arizona, with his wife Mistie and his two young daughters (and future Sun Devils!) Harper and Hayden. Kara Goldin serves on the ASU Alumni Association National Alumni Council. She is chief executive officer and founder of San Francisco-based Hint Inc., which produces leading unsweetened flavored waters. Since its launch in April 2005, Hint has received numerous accolades from national publications, including “Best Flavored Water” (in Health, Men’s Health, and SELF in both 2010 and 2012), “Best Enhanced Water” (Bottled Water World and BevNET) and “Top 25 New Products”. Goldin has been a contributor to national media outlets, including The Wall Street Journal, The New York Times, More, The Huffington Post, forbes.com, Reuters and Businessweek. She has been selected as Fortune magazine’s 2011 top-10 “Most Powerful Women Entrepreneurs,” and was named in 2012 as one of Ernst & Young’s “Entrepreneurial Winning Women.” She was honored as the 2012 Gold Stevie award winner for female entrepreneur of the year and was listed as a “Rising Star” and a “CEO to Watch in 2013” by openforum.com. Her most recent recognition includes being named one of Forbes’ “40 Women to Watch Over 40.” Goldin recently was named one of Fast Company’s “Most Creative People in Business” and is an honored member of the Sun Devil 100. Tere LeBarron joined the ASU Alumni Association National Alumni Council in 2013. She works to plan events and engage members of the Old Pueblo (Tucson) Alumni chapter. LeBarron enjoys participating in the annual Sun Devil Send-Offs, which provide new students and their families a preview of their upcoming college experience. She also participates in the alumni association’s Old Pueblo Alumni Chapter Scholarship selection process. A senior director with Alvarez and Marsal Healthcare Industry Group, a national consulting firm, she is a senior health care executive with experience in ambulatory care, health plan, practice plan, hospital and academic environments and with specific expertise in human resources, organizational performance, planning and execution. 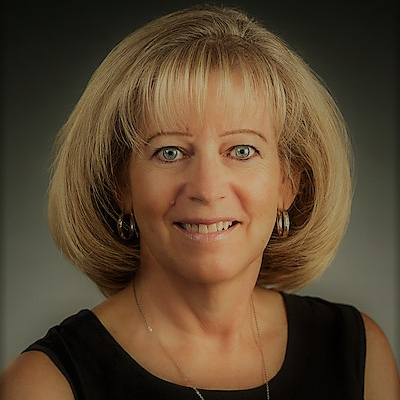 Prior to her work at Eastwick strategy Group, LeBarron was vice president of human resources for University Physicians Healthcare, providing corporate leadership in the areas of organizational alignment and execution. LeBarron lives in Tucson, Arizona. She comes from a Sun Devil family: her father and siblings all have degrees from ASU, and her daughter recently graduated from ASU. Jim Lodge serves on the ASU Alumni Association National Alumni Council. He is vice president of strategy and business development at NRG Energy. Prior to this role, he led Venture Management Company and served as president of APS Energy Services. His experience includes 20 years of executive management, strategic planning, operations responsibility, new ventures, company startups, business development and capital and asset management. 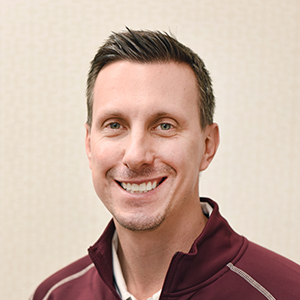 Jeff Mirasola joined the ASU Alumni Association National Alumni Council in 2015 and has been a valued member the Founders’ Day committee. Mirasola has served as the state and local government affairs director for CenturyLink for more than 18 years. Previously, he worked for Qwest Communications in corporate communications. Prior to a career in the corporate environment, he served as a news reporter and anchor in Phoenix and Milwaukee. Mirasola lives in Phoenix with his wife Mary, who is also a Sun Devil. They enjoy Sun Devil sporting events, and he enjoys golfing in the Valley with its abundance of golf courses and near-perfect weather. Caleb Joaquin Navarro joined the ASU Alumni Association National Alumni Council in August 2012. In his role on the council, Navarro is focused on assisting in the areas of membership, fundraising, ambassadorship, events and other activities. Navarro’s passion for ASU was established during his undergraduate years at the university when he joined the Hispanic Business Student Association. He later served on the executive board of the Hispanic Business ASU Alumni chapter for five years prior to joining the council. He is a senior financial systems and reporting administrator with Sprouts Farmers Market and previously worked at SCF Arizona and APS as a senior financial systems business analyst. A resident of Phoenix, he has been living in the Valley since 2000. A proud husband and father, Navarro enjoys spending time with his family exploring the great outdoors. Alberto Pino serves on the ASU Alumni Association National Alumni Council. He is a mutual fund operations supervisor at Voya Investments Management and oversees more than 800 dealer contracts with direct business with the mutual fund sector of the company. He also has worked as a program assistant in ASU’s Office of Public Affairs Hispanic programs group, which presented the fall and spring Hispanic convocation for ASU and facilitated the planning of the minority youth higher education program, the César E. Chávez Leadership Institute. Pino has served as the president of the Hispanic Business Alumni chapter of the ASU Alumni Association, as well as treasurer and a director at-large. He is a 2012 graduate of Valle Del Sol’s Hispanic Leadership Institute and is a member of the Association of Latino Professionals in Finance and Accounting. He also has served as national communications chair for the Latino Employee Resource Group and local Scottsdale site ERG leader associated with Voya Investment Management. Graham Rossini is the vice president of special projects and fan experience for the Arizona Diamondbacks. He joined the ASU Alumni Association National Alumni Council in August 2014. As a second-term member of the council, he has participated in the planning and fundraising efforts of many of ASU Alumni’s signature events, including Founders’ Day and Legends Luncheon, as well as working to increase membership awareness throughout his company. The National Alumni Council provides a vehicle for Rossini to promote ASU. A fan of the university since his early teens, he has maintained a formal relationship with ASU since arriving on campus in fall 1998. Rossini calls upon strategic contacts throughout many areas of the university, including Sun Devil Athletics and the W. P. Carey School of Business. 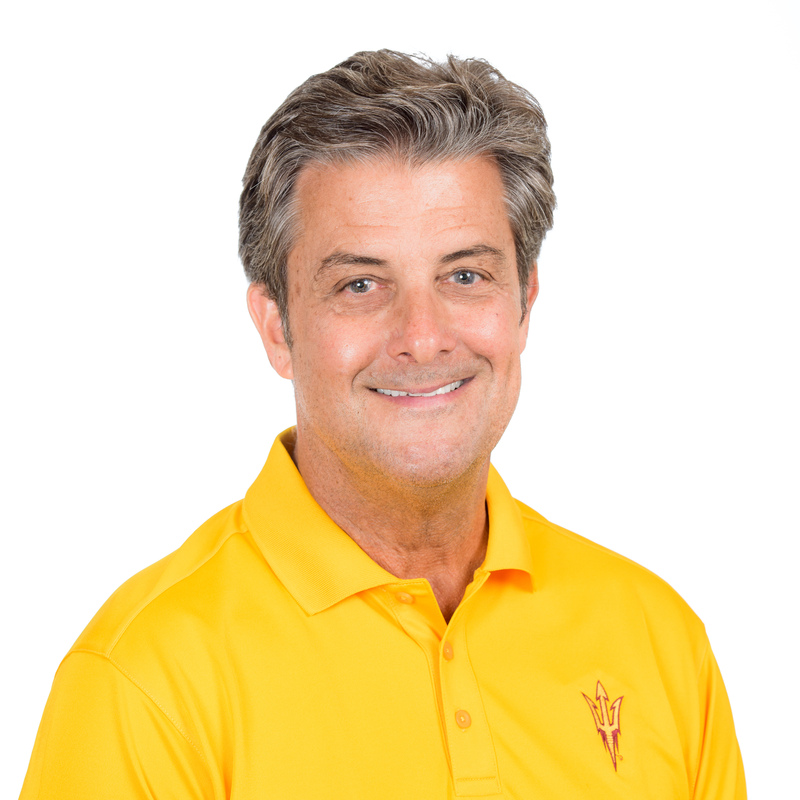 Rossini spent six seasons as Sun Devil Athletics director of baseball operations. 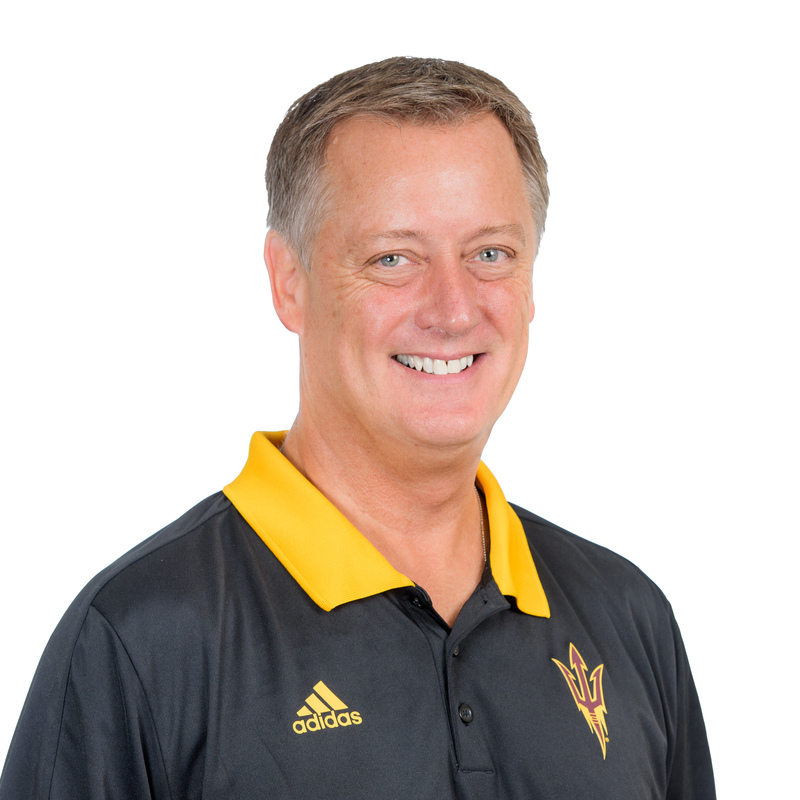 His wife Alison earned her bachelor’s degree from the ASU Walter Cronkite School of Journalism and Mass Communication and was a Sun Devil Volleyball letterwinner. Shaney Salomon joined the ASU Alumni Association National Alumni Council in July 2018. Salomon brings a passion for ASU, business acumen and professional relationships to the council and looks forward to making a positive impact on the ASU community. She previously has held several positions on the board of directors at Horses Help, a therapeutic horseback riding center for people with disabilities based in Phoenix, and she has deep experience in event planning and fundraising activities. She co-founded a grassroots charitable group, Blanketing Arizona, which for a decade provided food, blankets and gifts to the homeless during the holidays. Salomon lives in Phoenix and owns Optima ECM Consulting, an international professional services firm based in nearby Scottsdale. She has been married to Frank, a Phoenix Fire Deputy Chief, for 26 years and has three adult children, all ASU alumni. She enjoys travel, time with family and close friends, and spending as much time as possible at the barn with her horse Buzz. 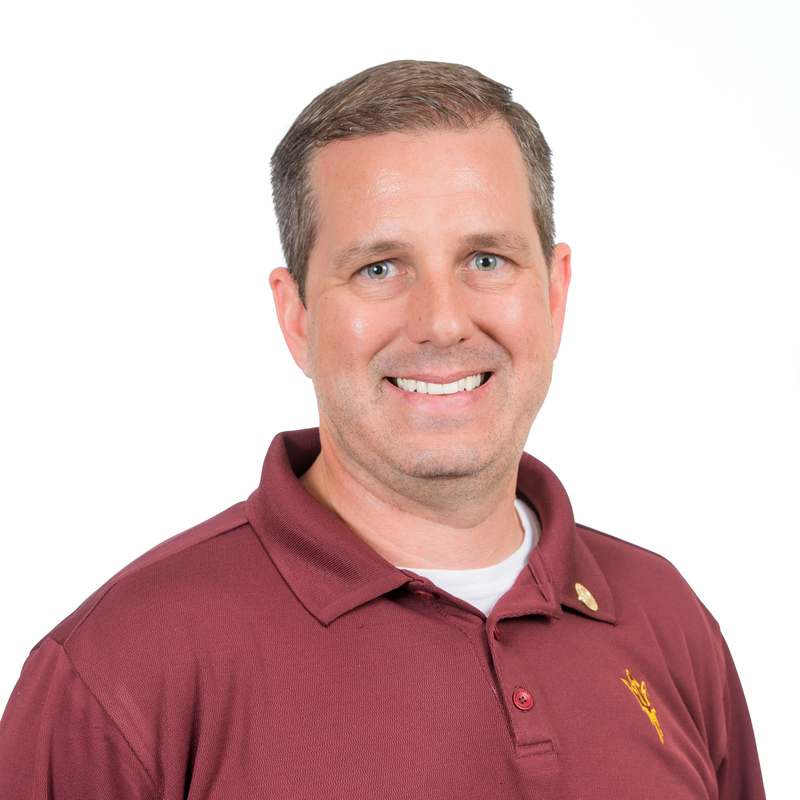 Travis Snell serves on the ASU Alumni Association National Alumni Council. He is a government relations liaison at Washington State Department of Transportation in Olympia, Washington. Prior to moving to the Pacific Northwest, Snell was project manager for the Hulbert (Family Trust) in Anaheim, California, where he also served as vice president of the Orange County ASU Alumni chapter. Snell is the founding president of the Austin (Texas) ASU Alumni chapter and a founding member of the Austin Pac-12 Alumni Council. Currently, he supports both the Seattle and Portland ASU Alumni chapters and was a member of School of Public Affairs 2016-17 Alumni Advisory Council. Ty Triplett serves on the ASU Alumni Association National Alumni Council. He is a veteran financial adviser who specializes in portfolio management. He is the director and founding partner of Anasazi Investment Group, an Arizona-based investment consulting and financial planning firm. Triplett’s favorite pastime is automotive history and restoration. He is the author of "The Edsel Owner’s Handbook,” founder of the Arizona Chapter of the International Edsel Club and has owned Ford Edsels since he was 15.